What makes an event extraordinary? What leaves your guests with extraordinary memories? At LIUNA Station and LIUNA Gardens, it starts with a venue that sets a mood and a team of hospitality professionals dedicated to perfection. Our details, have details worked into them – Succulent food made of the finest ingredients, painstaking presentations and seamless service that leave your guests focused on your day – all set within two unparalleled atmospheres of heady opulence formerly reserved for royalty, or a waterfront setting, gently scented with garden blooms and an endless lake view vista. A setting fit for a king or queen. 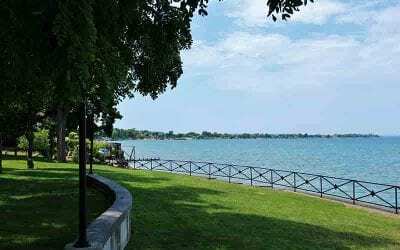 When you stand at the end of our stone path on the waterfront you can look across the water and it feels like you can see forever. 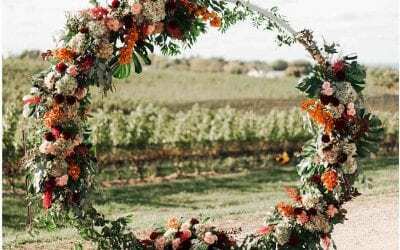 Our stunning and seemingly endless gardens have been perfectly landscaped for your enjoyment and the soft soothing waves are a perfect backdrop for your special day. 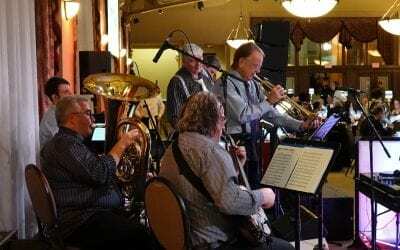 Here at LIUNA Gardens, we help you create memories to last a lifetime by creating a personalized and special event for you and your loved ones. From full flower to fall foliage and winter wonderland, our 12 acres of manicured gardens are stunning in every season! Enjoy watching the skies change from cobalt blue to warm oranges and reds as the day’s events turn to evening excitement. 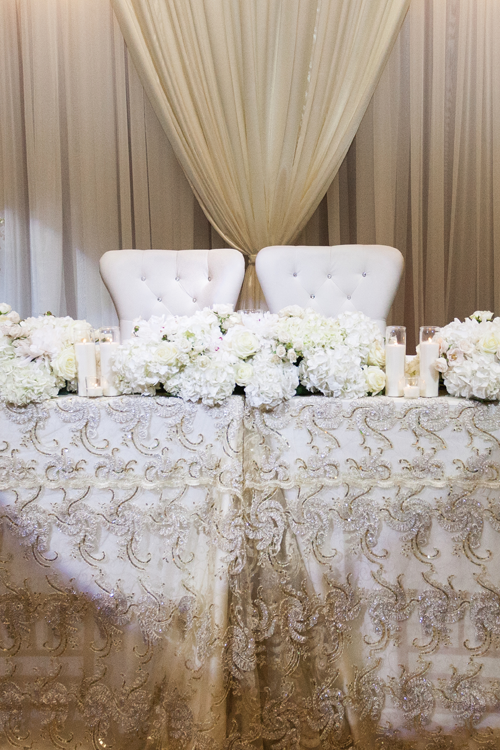 LIUNA Gardens set an extraordinary scene for your event. You will hear it in the click of your heels on our Italian marble floors, see it in the walls of stunning oak paneling and feel it in the flowing Versace™ draperies. You are experiencing the timeless, classic extravagance of LIUNA Station. With attention to every detail, LIUNA has revitalized this architectural masterpiece that is testament to rail travel’s eminence years ago. 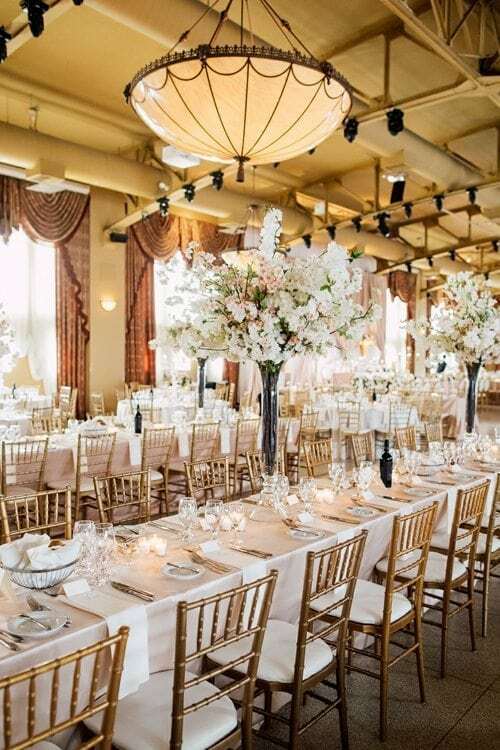 Here at LIUNA Station, your event will take on the extraordinary luxury and opulence of a golden era. Only the finest ingredients make it to the table. 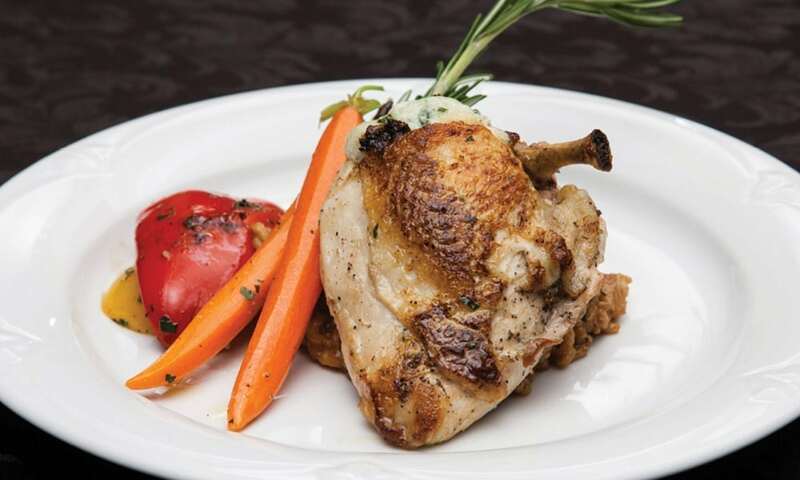 Crespelle, Grilled French Cut Veal and succulent King Prawns are just a few of the mouthwatering dishes available at a LIUNA event. Our Event Consultants help you create your own exclusive menu, perfect for your very personal occasion. Or simply choose from our own carefully crafted menus. Your dining experience will be extraordinary. Fresh and seasonal ingredients are allowed to shine. Harvested at the height of freshness, our sides are the perfect compliment to the most classic dishes. The king of cheeses. 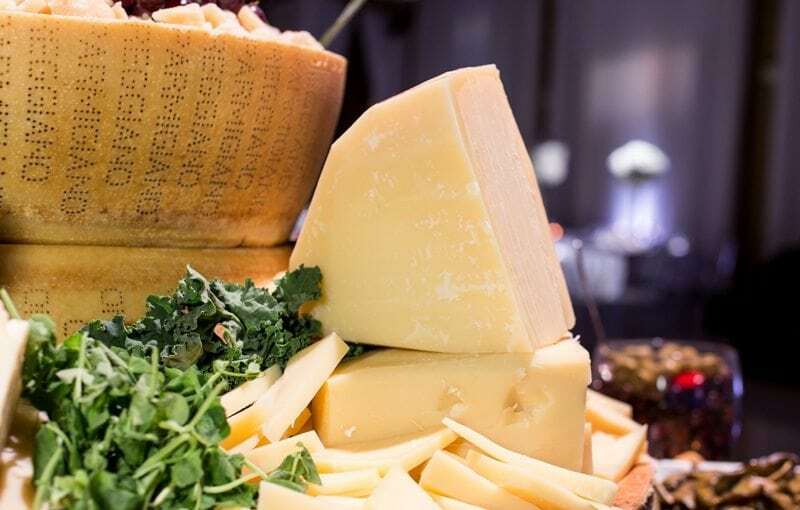 Nothing can compare to a freshly cracked wheel of Parmigiano Reggiano – unless you are using the wheel to make a delectable aglia e olio! 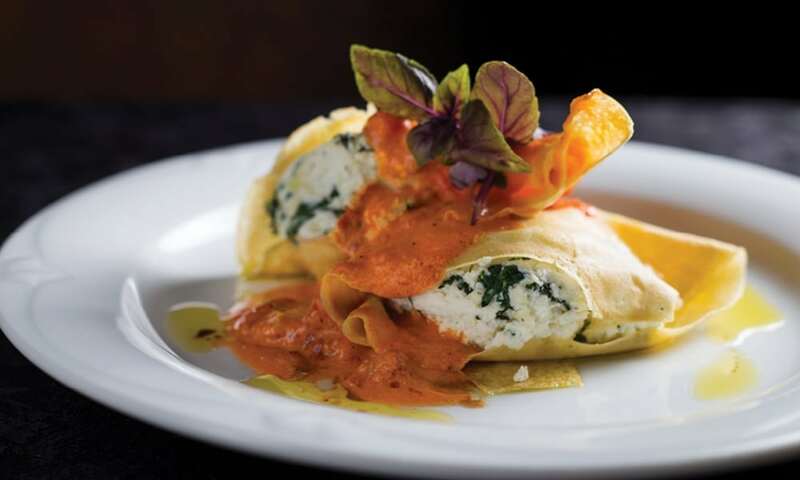 Delicately filled with ricotta and spinach, these crepes are incredible. Balanced with a classic onion-based Genovese sauce, this course will be a highlight for your guests. Peerless decadence personified on a single plate. 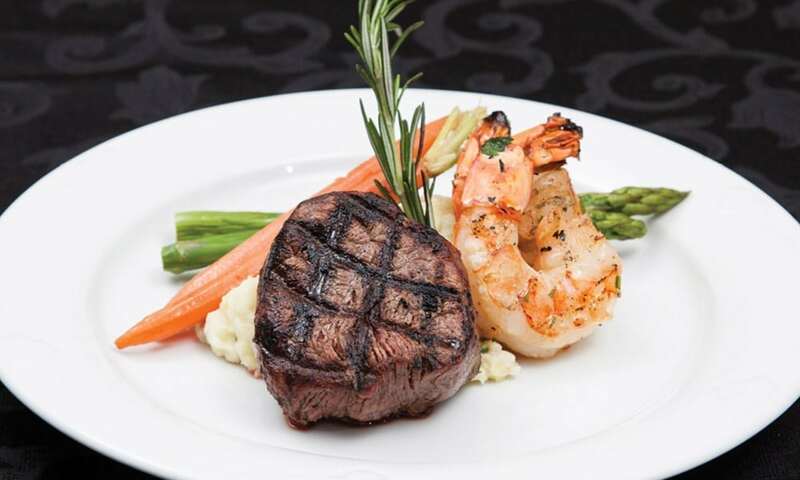 Signature AAA Filet Mignon is married to a delicate King Prawn that will leave your mouth rejoicing. 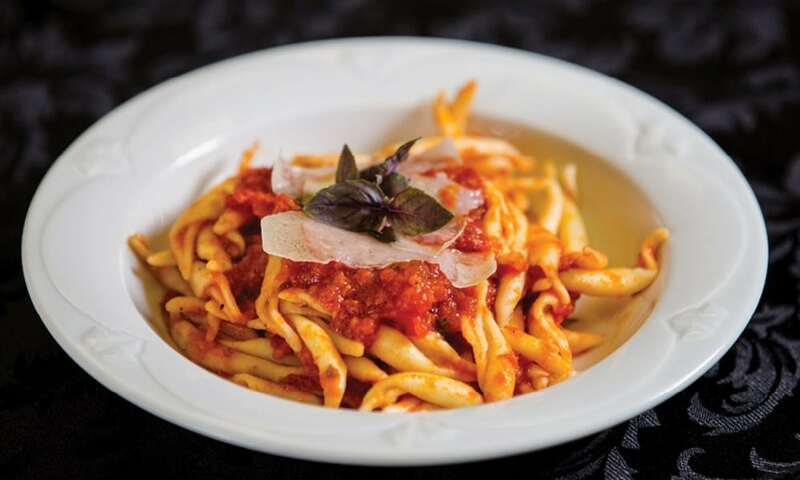 Artfully dressed, hand-crafted pasta is delicate and light. The qualities of the ingredients are allowed to shine through as befits a classic dish. The perfect finish to any meal is delicate, light and highly addictive. 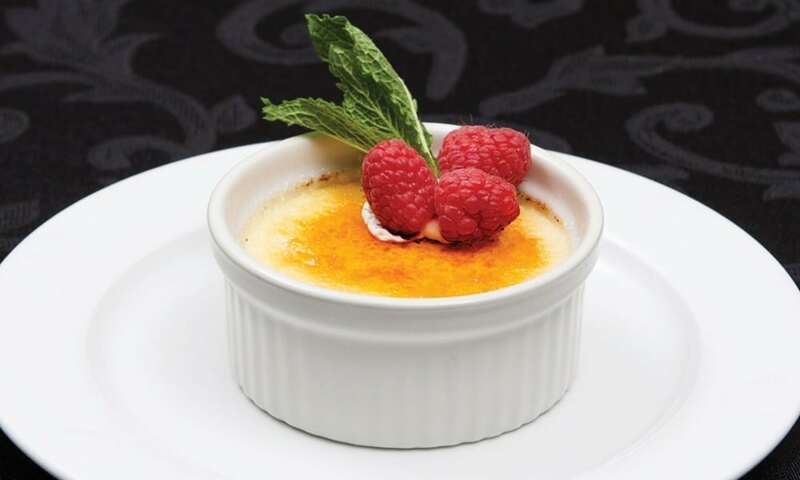 Crêpes, decadent Cheesecakes or Crème Brûlée to name just a few will mean every meal finishes with a satisfied sigh. Our clients leave our venues happily ever after. Subscribe now, so you're always in the know of what extraordinary things are happening here. Receive the latest news and updates from LIUNA Gardens & Station.